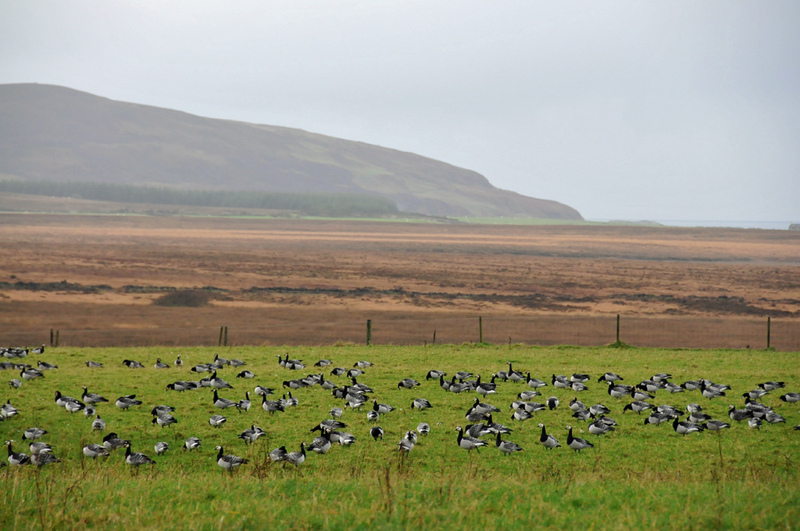 Taken on a rather grey and overcast day on Islay, Barnacle Geese resting and feeding in a field close to the High Road. The hills of the Oa in the background. This entry was posted in Cloudy Weather, Landscape, Repost, Wildlife and tagged Barnacle Geese, High Road, Islay, The Oa by Armin Grewe. Bookmark the permalink.